It's not often I repurchase beauty products, in fact, it's pretty darn rare. I always have something ready to replace a finished product and something else to test, even if I would like to repurchase it's counter productive when I have plenty to be going on with (except toner, I always need more facial mists and toner!). However, I've been really really struggling with my skin recently and at a loss of how to fix my issues. I've tried everything but I think it's more to do with my hormones than skincare and that takes much longer to sort out. 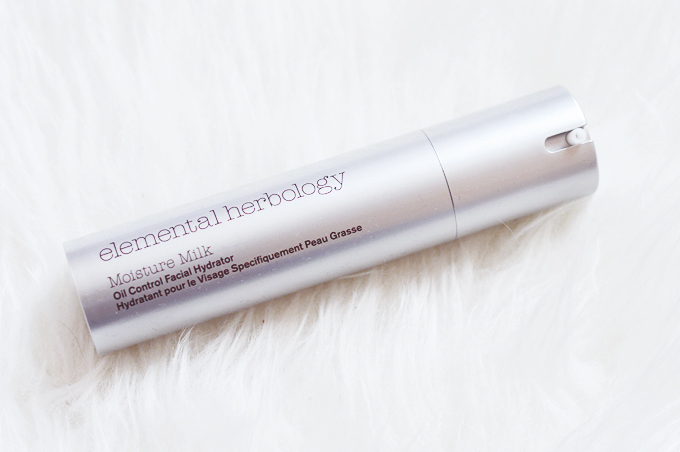 When I wrote my 2014 favourites a few weeks ago I had a quick look back through my archives and remembered how much I loved the Elemental Herbology Moisture Milk as my moisturiser of choice in 2013/2014. It was a contributing factor in having pretty okay skin back then and what I thought was bad skin, now in reflection really, really wasn't. I had a little browse in the sales and by some miracle, managed to get this for half price from Look Fantastic. Sadly it isn't in the sale anymore but if you find it I highly recommend it for problem skin that needs a light, exfoliating moisturiser. The ingredients aren't the absolute purest, but I have found nothing else that works for me in this way and have faith it will help my skin heal while I work on those pesky hormones. Read my original review here.